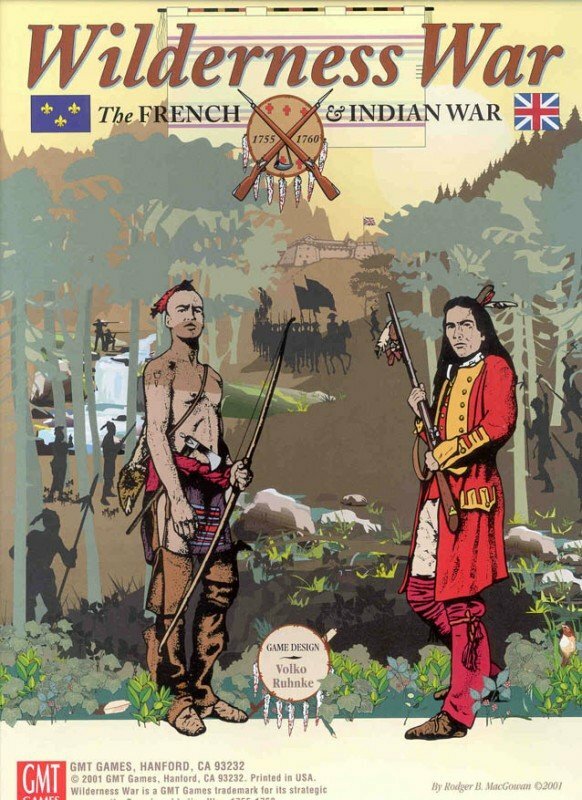 Wilderness War takes two players into the French & Indian War, 1755-1760, the climactic struggle between France and Britain for control of North America. It uses strategy cards and a point-to-point map similar to GMT's award winning For the People and Paths of Glory. 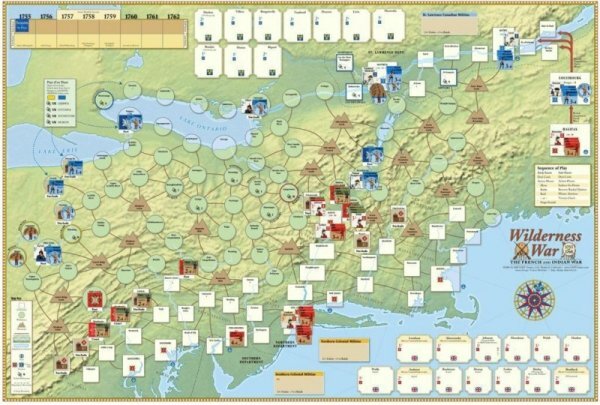 Players maneuver and fight over a map stretching from Northern Virginia to Canada. As the leader of French or British forces in North America, you will need to defend your frontier, raid your enemy's frontier, build fortification networks through the harsh wilderness, recruit Indian allies, besiege forts and fortresses, and deal with events occurring in Europe that are above and beyond your control. Wilderness War includes a deck of strategy cards for conducting campaigns and incorporating the many events and personalities of the war. 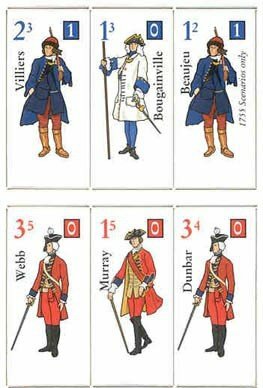 The French player can recruit up to sixteen different Indian tribes as allies, secure a continental alliance in Europe against Great Britain, sortie his squadron at Louisbourg, force a ministerial crisis in London, and work toward draining support for the war from the provincial assemblies. 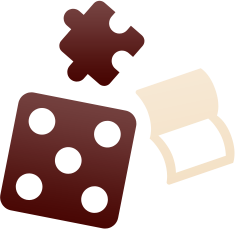 The British player can recruit Mohawks and Cherokees, plan for and conduct amphibious operations, implement a global strategy via William Pitt, destroy the French fleet at Quiberon Bay, and expel the Acadians. Relive the history of this exciting time when the fate of Canada hung in the balance.